330 E. Live Oak Ave. Commissioned for the Arcadia Mental Health Center, Butterfly Effect depicts a cluster of monarch butterflies. This outpatient mental health clinic is all about change and metamorphosis. Butterflies are the perfect metaphor. Some say that the fluttering of a butterfly’s wings on one side of the earth might cause a tsunami on the other side of the planet. This is commonly known as the butterfly effect. Likewise for humans, small changes have the potential to create much larger changes—in our own lives, the lives of others and the environment. This sculpture is located in the main entry lobby. 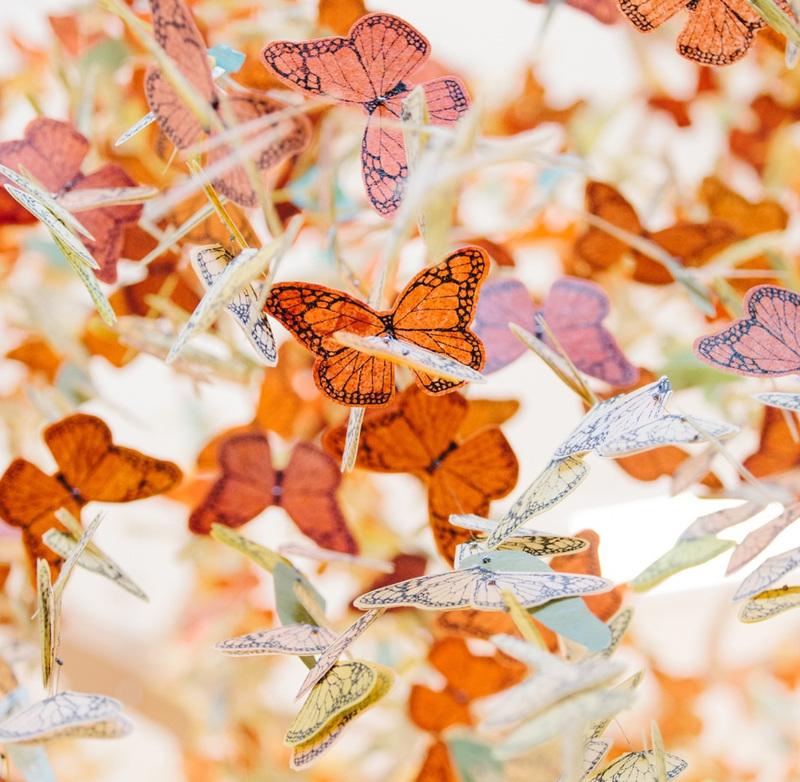 Approximately 10,000 butterflies, made from hand-painted and silk-screened materials (vinyl-coated fiberglass and spun polyester), hang from 6 aluminum eucalyptus branches that are located 23 feet above the floor. 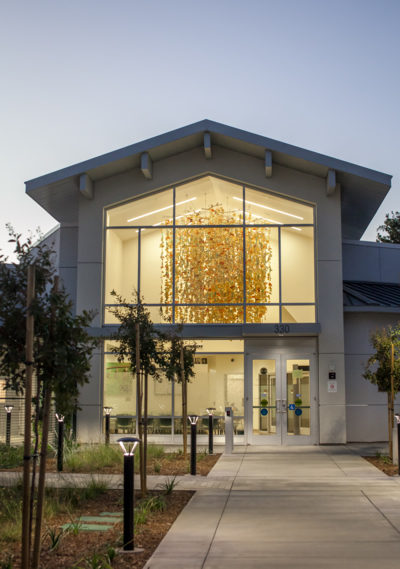 Thoughts about change, written by staff and clients of this clinic as well as those involved with the construction of this building and sculpture, are printed on more than 700 fabric eucalyptus leaves. Looking up, you are surrounded by fluttering butterflies. 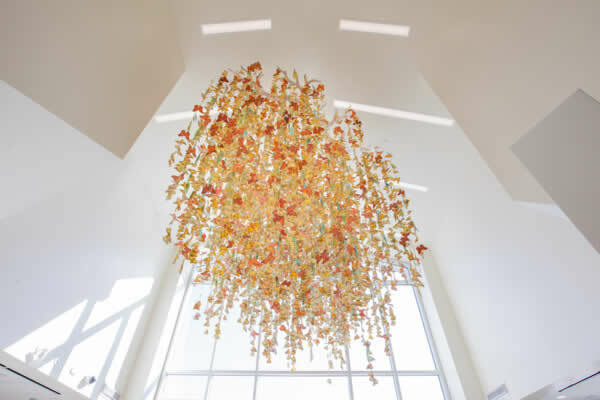 Very lightweight, these 244 strands of butterflies and leaves move gently with the slightest air movement. Capital Public Radio Interview with Beth Ruyak on the making of The Butterfly Effect and slide show of the creation and installation. © 2000-2018 Merle Axelrad, All rights reserved.